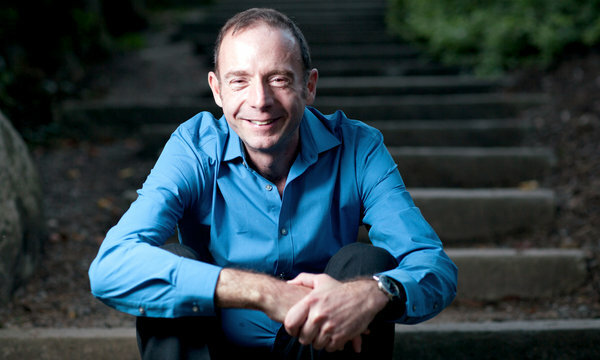 Timothy Ray Brown is the first and only known person in the world to be cured of HIV, and his cure spurred new hope for a widespread cure worldwide. Originally from Seattle, Washington, Brown is an inspiration to many researchers and individuals living with HIV/AIDS around the world. Brown’s doctors controlled his HIV for a few years using antiretroviral drugs. In 2006, however, he was diagnosed with acute myeloid leukemia (AML). Dr. Gero Hütter, his physician, used radiation therapy and chemotherapy to wipe out Tim’s immune system. They rebuilt it with stem cells donated from a person who was naturally resistant to HIV. Tim’s donor was homozygous for the CCR5∆32 mutation. Around one in 1000 people of European ancestry have this inherited mutation, and it is even more rare in other populations. Brown experienced some complications before being cured. In 2007, Brown underwent hematopoietic stem cell transplantation while undergoing a stem cell transplant for leukemia. Only half of patients undergoing this kind of transplant survive such a risky procedure. After a relapse a year later, they performed a second hematopoietic stem cell transplantation. Today, despite stopping antiretroviral therapy, researchers still cannot detect HIV in Brown’s blood. The Martin Delaney Collaboratory of AIDS Researchers for Eradication (CARE) takes inspiration from Tim Brown’s story and uses it as a positive example of a road to a more widespread cure. By working together as a community of researchers, doctors, and patients, we hope to cure, and one day eradicate, the HIV infection.